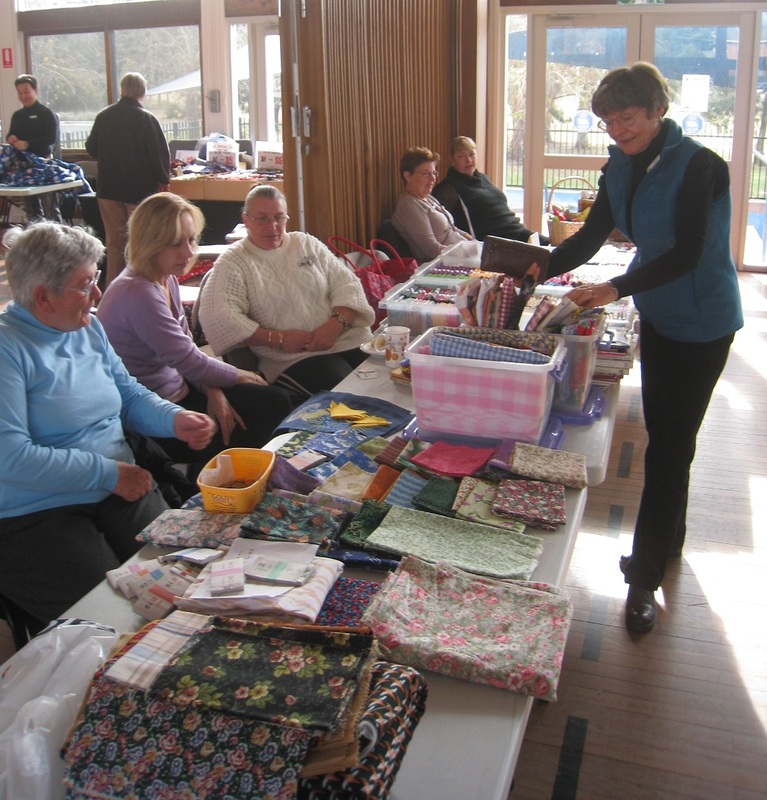 Wonderful Wednesday – 15 June | Canberra Quilters Inc.
We has around 52 people present at the Wonderful Wednesday meeting yesterday. There was the usual chat, stitch and cups of tea and coffee. The “bring and buy” saw some members selling their goods. Member Shuji from Wabi-Sabi Design was also there selling his Japanese fabric – fat quarters or by the metre. At the next Wonderful Wednesday meeting on 20 July , Clare Ayling will be present selling her latest shipment of batik fabric from Bali. The themed show & tell is quilts ( or anything really) made with batik fabric.